Environmental Virology, Volume 101, the latest in the Advances in Virus Research series, contains new, informative updates on the topic. First published in 1953, this series covers a diverse range of in-depth reviews, providing a valuable overview of the current field of virology. 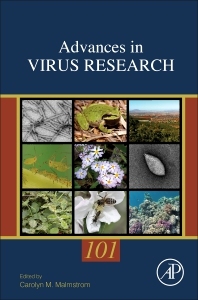 Updates to this release include sections on the host landscape and vector behavior, key determinants of plant virus evolution and emergence, plant virome analysis using spatial metagenomics, host range evolution in generalist viruses, the influence of environment, water-mediated spread and transmission of viruses, viruses transmitted by means other than insect vectors, and more.